I don’t think I have ever shared a wedding before the engagement session! But with traveling and shooting the engagement session the day before the wedding, we ended up sharing their gorgeous wedding first! 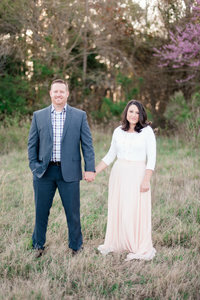 Jeff & Melissa are seriously such a sweet couple! They rented out Lions Wilderness Park Amphitheater for a couple hours. This is an amphitheater where they hold plays during the summer. The location is so beautiful and has such a GORGEOUS overlook of the city! Melissa had mentioned how she really wanted to capture the scenery and I was so thrilled that she picked this spot! I love how the scenery contrasts so differently from her engagement to their wedding which you can always see here! Being only about an hour from Colorado we went from red rocks and a desert feel to beautiful snow covered mountains. I LOVED it! Luke was born and raised in Farmington and it was surreal that we were able to come back and shoot an engagement and wedding of his sisters best friend. It is funny where life takes us and it is definitely such an adventure. I know Melissa & Jeff have a great adventure ahead of them and we are so excited for what life has in store for them! LOVE this one of Melissa!!! Beautiful pictures. So happy for them. Especially liked the pine needles with the ring. How creative! Thanks for sharing.